For the month of December and as Christmas draws near, I would like to introduce you to the Top Fashion Trends of 2012-2013 for Antalya! 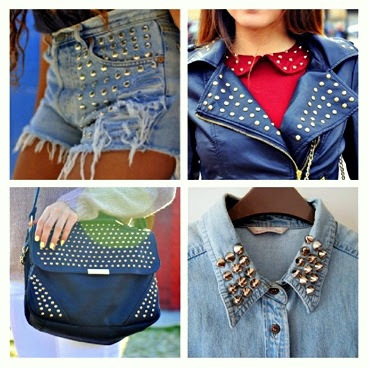 Throughout this last year, studs have been the ‘it’ trend to follow. I’ve literally seen it everywhere from boots to jackets, shirts to bags and lots of it in jewelry. Personally I’m in love with this trend as I think it just adds a touch of ‘originality’-depends how many pieces you have with studs of course- and a pop of class to any outfit. I’ve actually ordered some from Ebay and customized 2 of my own shorts! 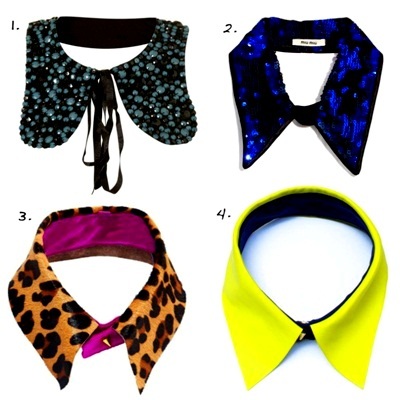 OMG I’m in love with collars! I don’t know why this trend didn’t quick off way before. I mean, they are so easy to use, all you have to do is add it on top of your top and it will easily blend into your current style or make you more stylish. The collar above got sent to me from one of my sponsors and it can even be worn as a necklace. I have to admit that this isn’t my favourite trend of the year because wearing a warm fuzzy thing on my head just won’t make me feel more confident as it spoils my hair and makes me look weird. However as you can see from the models above, some people can just make it work! Maybe its because I’ve got straight Asian hair that won’t look pretty unless it’s just straight and simple… I’ve seen lots of people wearing it on the streets and all the mainstream fashion stores have been selling them for accessible prices such as Zara, H&M and Primark.